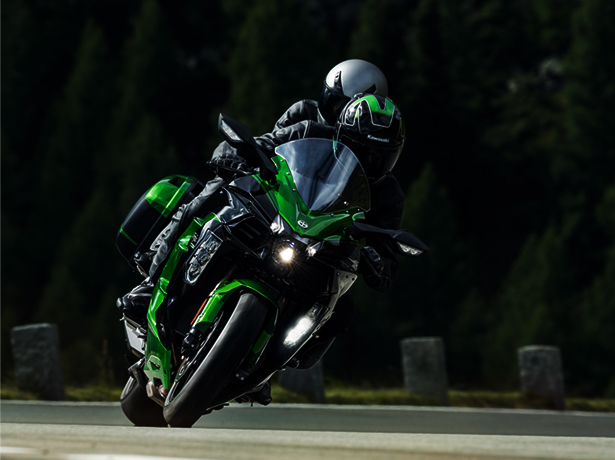 Leave everything you thought you knew about Sports Touring behind with the Supercharged Ninja H2 SX SE. 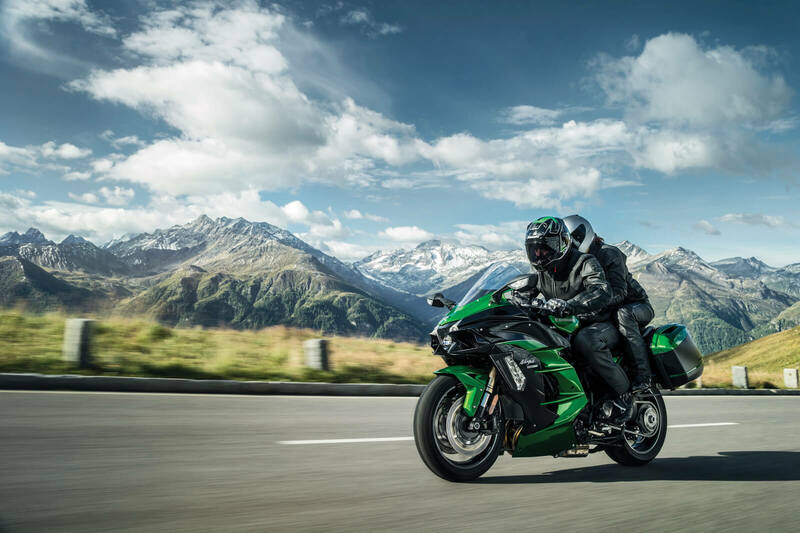 Surge across continents, along autobahns and through mountain passes. 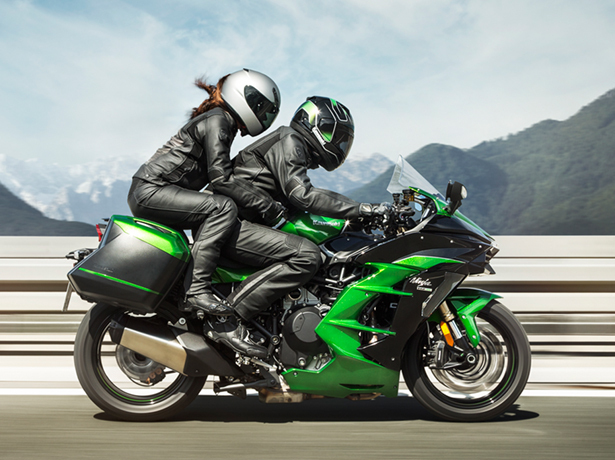 Go further faster on our most capable Sports Tourer yet. 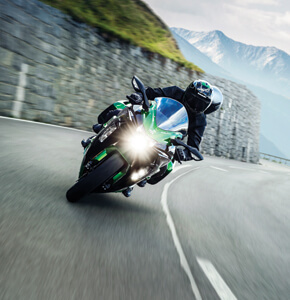 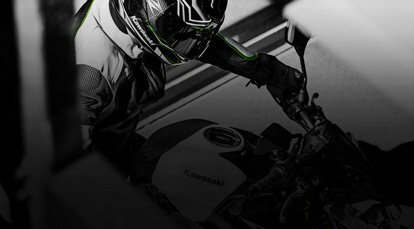 Ninja H2 SX SE – SUPERCHARGE YOUR JOURNEY. 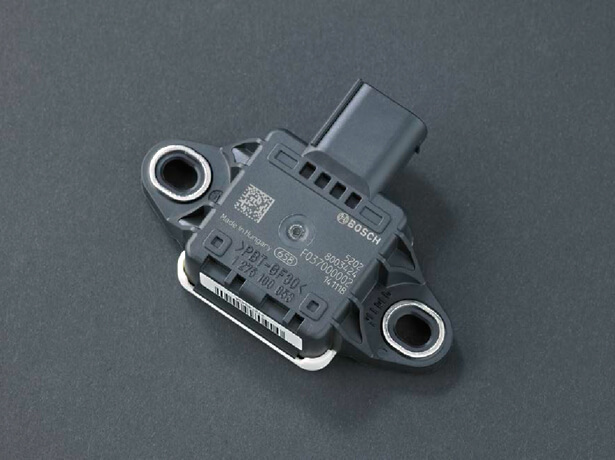 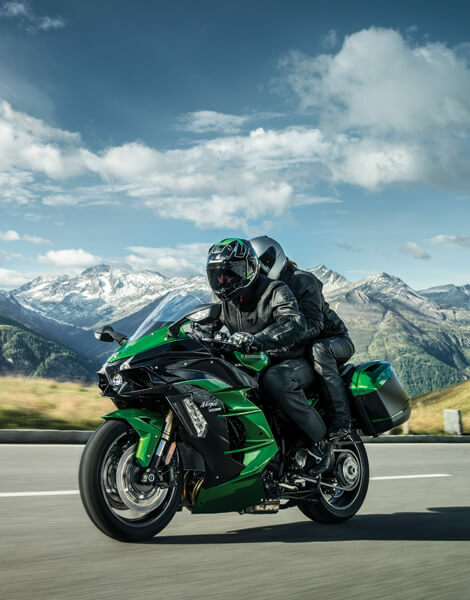 Achieving an engine that could deliver superb fuel efficiency and gratifying acceleration at street-riding speeds started with increasing the compression ratio in order to increase the engine’s thermal efficiency. 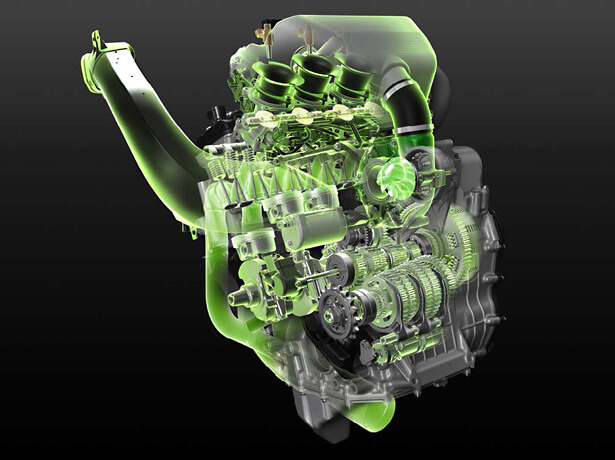 From there, the supercharger, combustion chamber, cams, and intake and exhaust components were all redesigned. 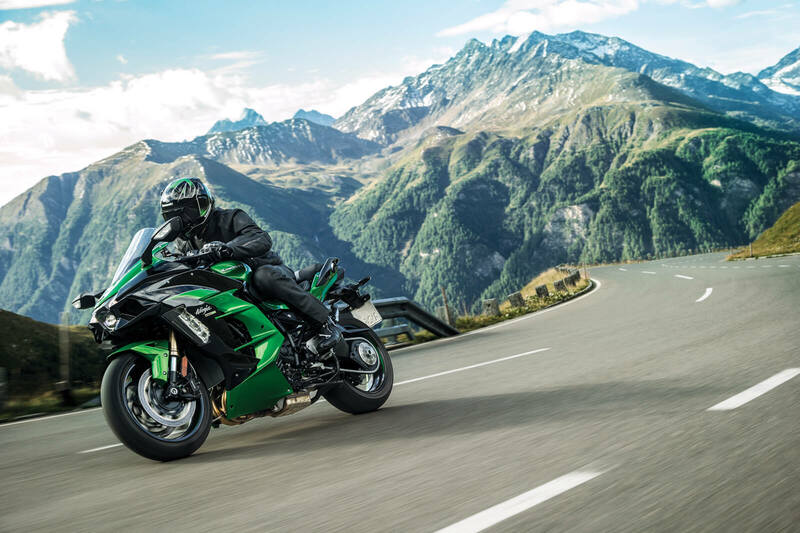 The result is a versatile engine character that enables relaxed long-distance riding, easy manageability at slow speeds, and – when called upon – the exhilarating acceleration that only a supercharged engine can deliver. 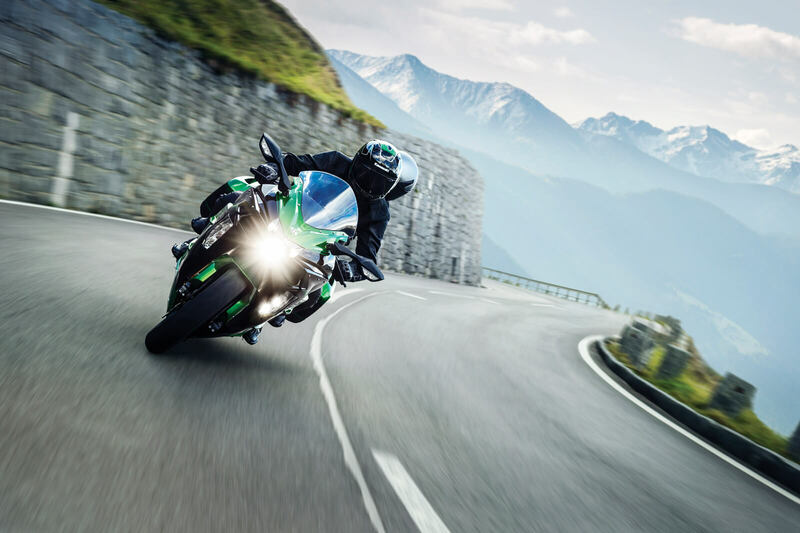 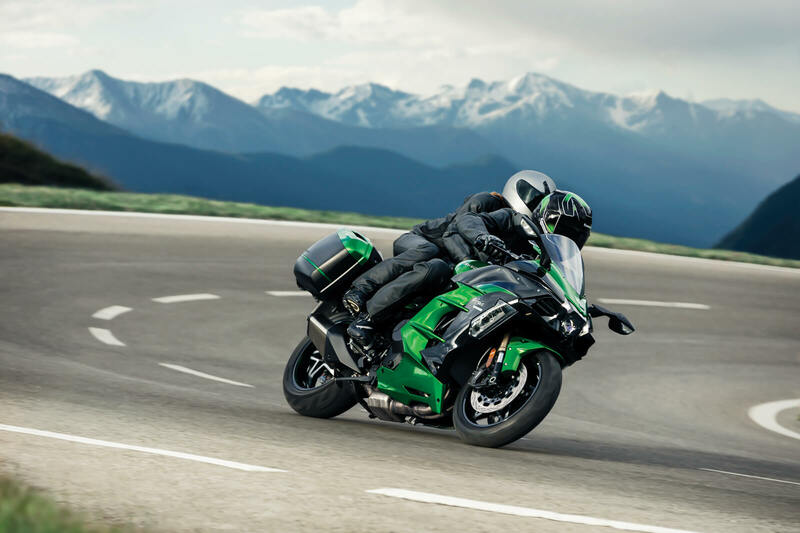 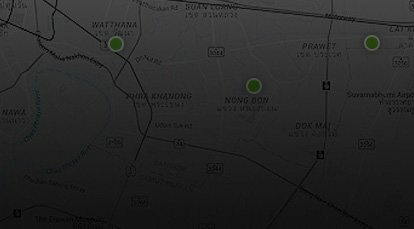 The Ninja H2 SX’s superb fuel efficiency represents a significant increase over the supercharged engine of the Ninja H2, and is on par with that of the Ninja 1000 and Versys 1000. 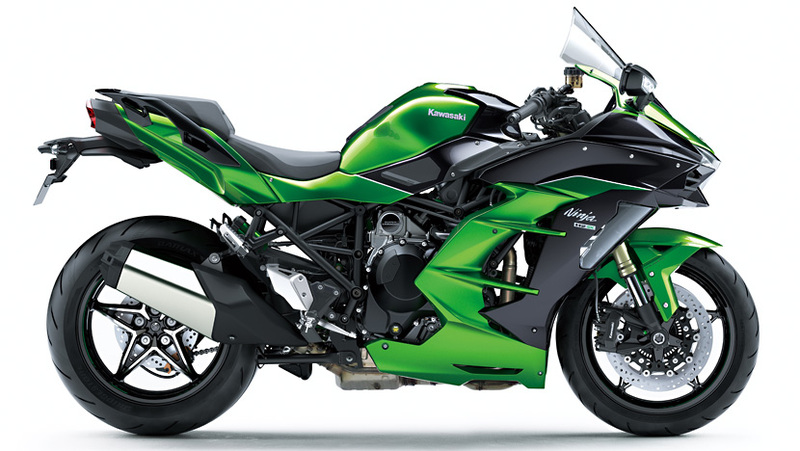 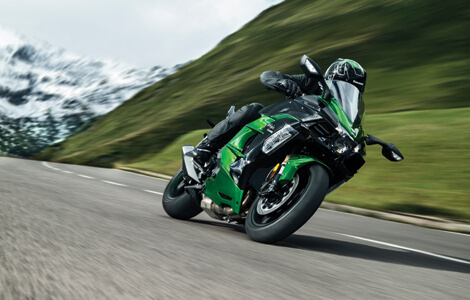 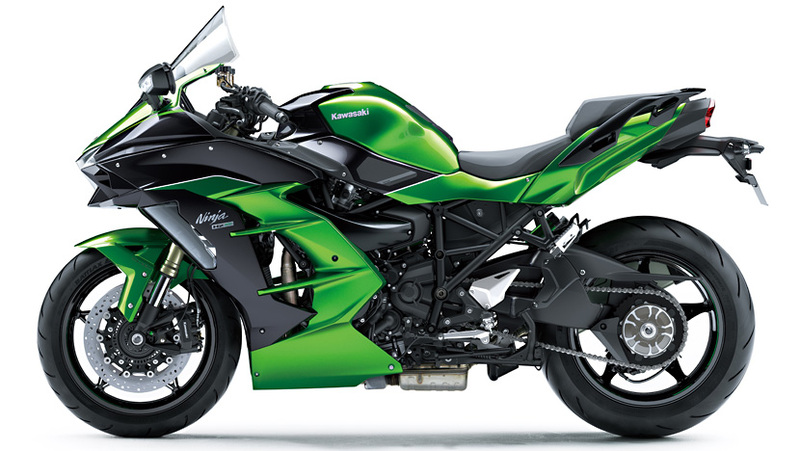 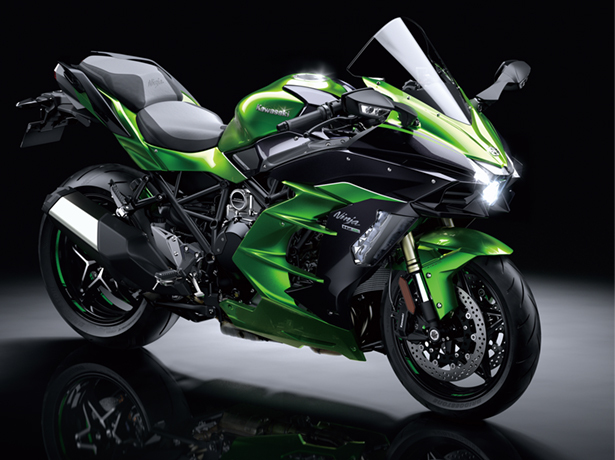 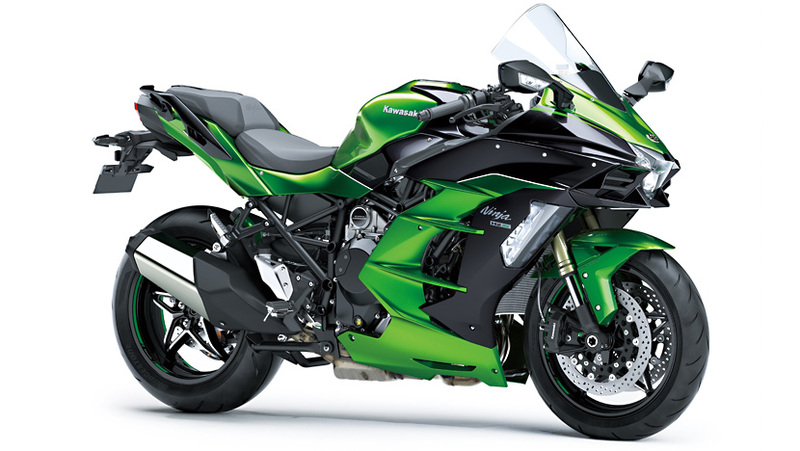 Combined with its 19 litre fuel tank, this gives the Ninja H2 SX a substantial cruising range. 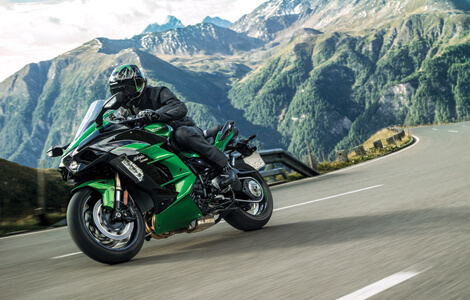 Supersport-sourced suspension delivers a combination of ride comfort and sport performance ideal for street riding and touring. 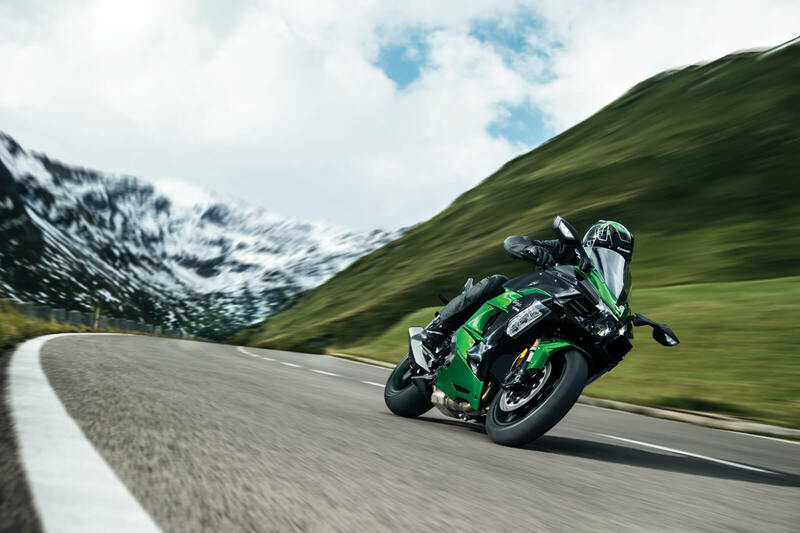 Both front and rear suspension are fully adjustable, allowing riders to make adjustments to suit riding style and conditions. 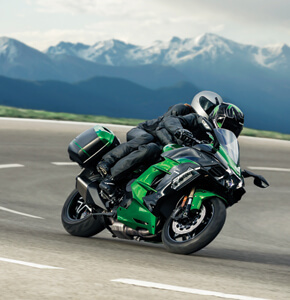 And a remote rear preload adjuster greatly facilitates making changes to accommodate a passenger and/or luggage.